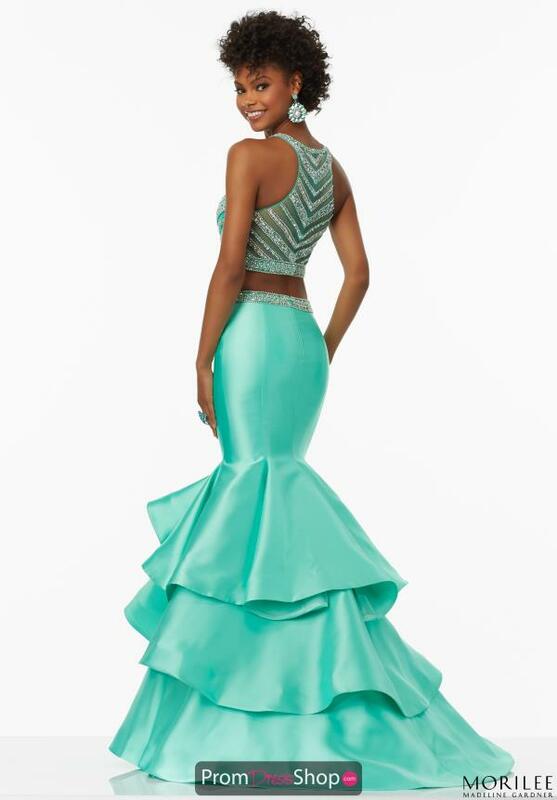 Mori Lee prom dress 99039 is a two piece mermaid style showcasing an embellished crop top and a fit and flare skirt. Dazzling iridescent stones adorn the entire top and waistline of this gorgeous ensemble while the skirt highlights a tiered mermaid flare. Complete this prom look with iridescent earrings and a matching clutch. Find more two piece Mori Lee dresses at www.promdressshop.com today.